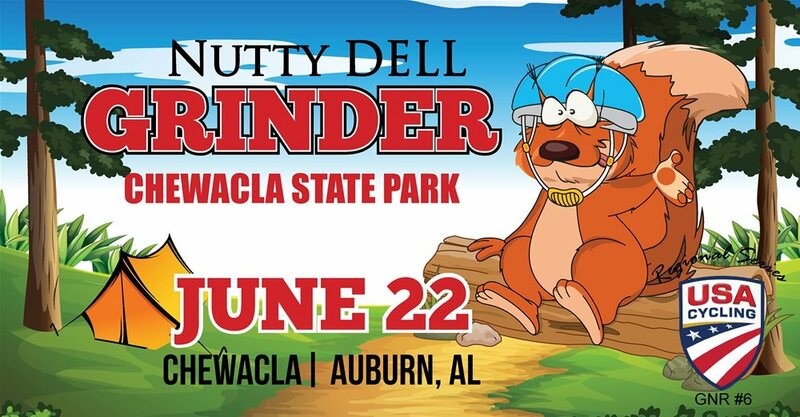 Go Nuts Biking is hosting the Nutty Dell Grinder on June 22, 2019, at Chewacla State Park. Fourth time Go Nuts is returning to Chewacla! This trail has it all! Why wouldn't you want to return? With a great trail system and an awesome SORBA chapter (CAMP) to manage help maintain and continue building bigger, longer and better trails. Chewacla has become a mountain bikers playground - anything and everything you would want in trail riding. Early registration ($45) ends Thursday, June 20, 2019 at 11:59pm ETD. USA Cycling Annual members will receive a $5 discount when registering online and the day of the race. Onsite Registration opens at 7:00am ETD ($50). Visit Go Nuts Biking's website to register. For more information, email gonutsbiking@gmail.com.